In New Mexico and other States, school buses transport students to and from school throughout communities large and small. For the most part, children are safely transported without incident or injury. Unfortunately, at times, a child suffers serious personal injuries while riding a school bus. Some child personal injuries result from an automobile accident. Some result from the unsafe driving of the bus driver. Other incidents or injuries that take place on a school bus result from fights and / or aggressive behavior from other students. The Las Cruces Public School district will be investigating this incident. Unfortunately, there were no video cameras posted on this bus. Each school district has policies and procedures for student conduct and bus driver supervision for transportation on school buses. It is important for both the students and the drivers to obey and follow these rules. 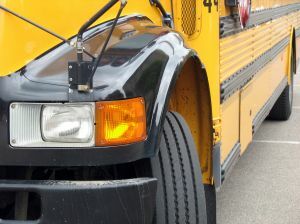 You can read more about this story at New Mexico Child Suffers a Skull Fracture While on School Bus.